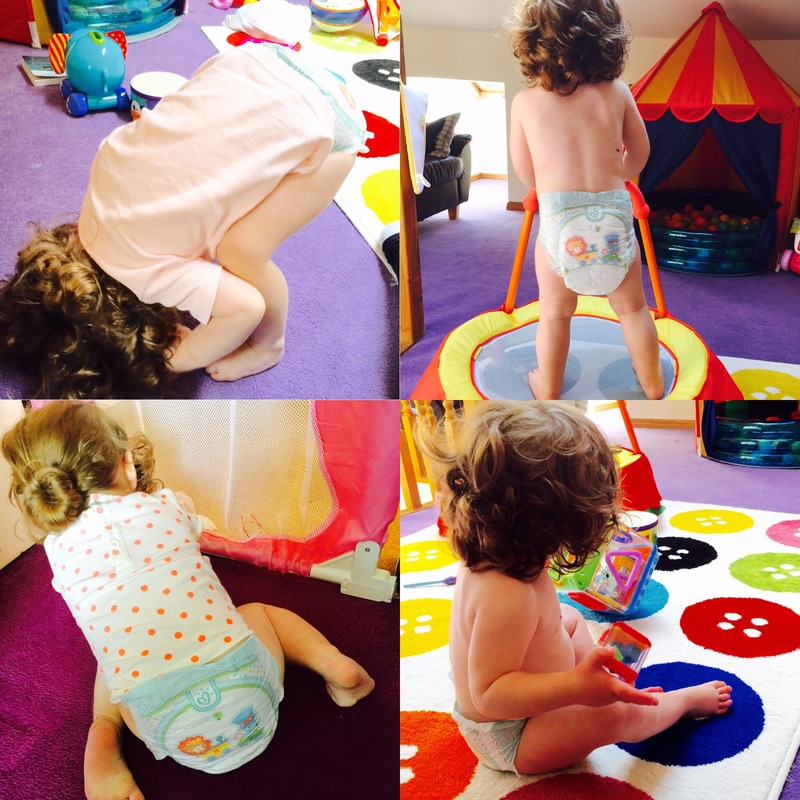 Pampers Baby Dry and Sensitive Wipes, 29th August, 2015. 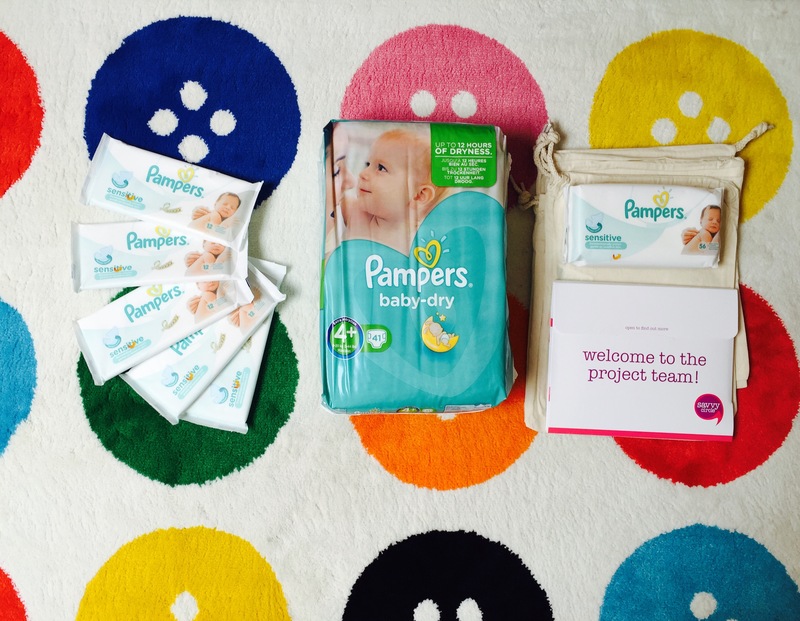 I got sent some Pampers Baby Dry nappies and sensitive Wipes to review and throughly enjoyed trying these products with my one year old, so much so that it was the brand of choice when packing my hospital bag for baby number two who arrived this week! They were also great for toddler play too and very flexible! The wipes were extremely gentle on the bum and I have been using them on my newborn too to clean away the meconium and they’ve worked fabulously. Overall I was very happy with the products I tested and would undoubtedly purchase these in the future and definitely recommend to friends also. Keep Me going, 25th August, 2015. I craved nothing but cereal during my last pregnancy but this time it has been entirely different and really all I could do was avoid foods that made me sick as opposed to getting strong cravings. However, I was excited to try new cereal! 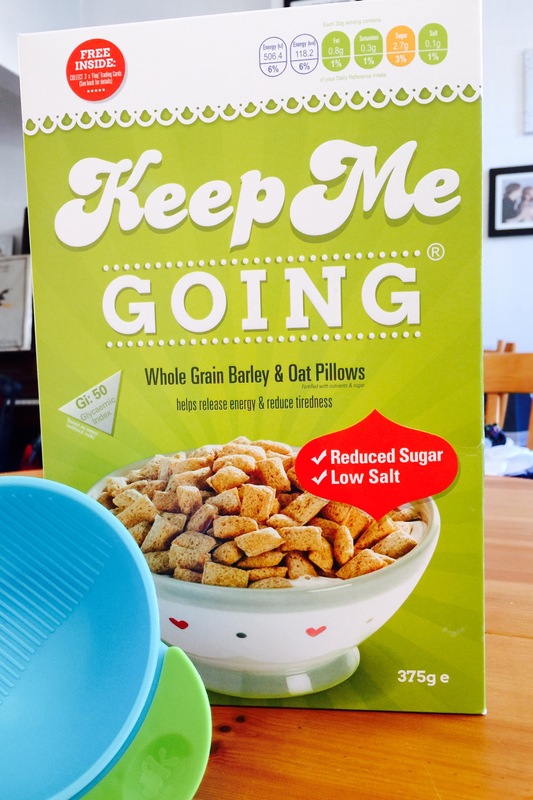 Keep Me Going is a healthy option cereal, so perfect for pregnancy and for the one year old too! It has reduced sugar and salt, which is great. I have a little sweeter preference, so particularly enjoyed it with banana and blueberries. The one year old who is currently learning the fine art of using a spoon thoroughly enjoyed tucking into a bowl, with blueberries too, and devoured the lot! A breakfast success! We will be trying it again, especially when I attempt to shift some post pregnancy weight. 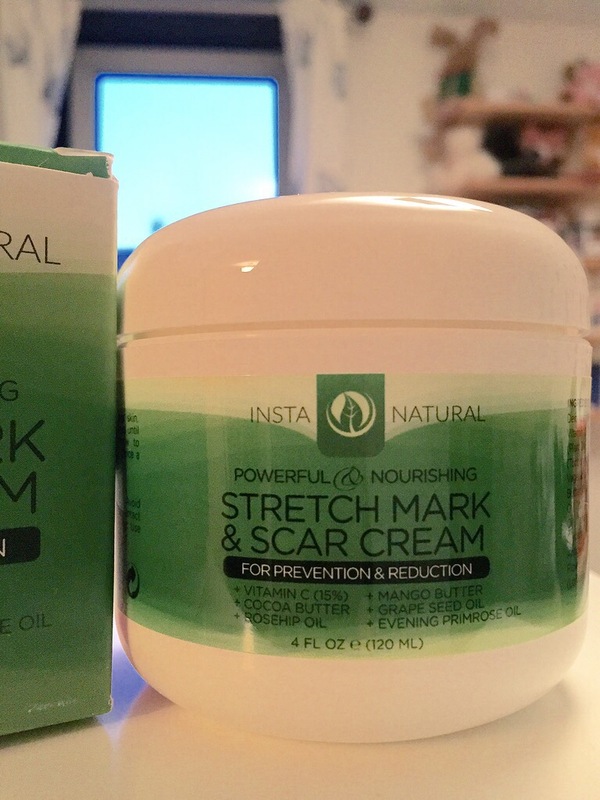 InstaNatural Stretch mark Cream, 29th July. During my first pregnancy I remember thinking how lucky I was I had escaped stretch marks, then my due date came and went and the further I went past it little red stretch marks started to appear. I was devastated, I thought I had gotten away with it. During my second pregnancy however, I was only 20 weeks- half way through exactly- and lots and lots appeared. The kind that pull so tight they become itchy. I started using a bit of cocoa butter and this helped a little but I was on the look out for a great stretch mark cream that would moisturise and alleviate them in some way. I got sent InstaNatural to try for free in return for an honest and unbiased review. The first thing that impressed me was the size, it was a generously sized product, compared to others I had contemplated buying prior to receiving this. The thing that I really loved about Insta Natural was the smell, when I opened it for the first time I loved the smell immediately. It smelt really fresh and only lightly fragranced, perfect for my highly sensitive ‘pregnancy nose’ (ingredients include Vitamin C, Cocoa Butter, Rosehip Oil & Mango Butter). I saw a marked improvement after the first use, my skin felt instantly softer and less itchy straight away. After a week, I noticed the stretch marks appeared less red. The overall appearance of them was significantly better. I can’t wait to see the results after using it for longer. It has been one of my favourite pregnancy products by far. When given the opportunity to review a book *for pleasure* I couldn’t say no. In all honesty I needed a break from all the medical articles and journals that consume me. Living with a rare condition means lots and lots of research and reading. So, this week I have taken a break from those to read a book… For pleasure! God knows I won’t have chance again come August and when baby number two is here demanding what little attention of mine I have left after number one is done with me! Now, my background is in English Literature. My dissertation was about Gothic Victorian novels and I continue to read and enjoy the odd Dickens every now and then. Albeit not so much as I used to. So this was very different from the fiction I would usually pick up to read. However, I went into it open minded and surprisingly found it quite relatable in parts. That’s not to say it would make my ‘dream list’ of books I’d have on a theoretical desert island. But, it was a good, easy read that required not so much concentration. Perfect for me as my one year old still likes to surprise me occasionally at 5am for a little cuddle; so my sound nights sleeps I need for good concentration aren’t what they used to be. 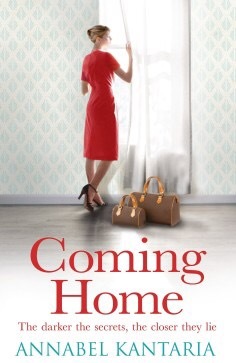 I’ll be purposely vague so as not to give too much away… I particularly liked the short chapters. This made it easy to dip in and out of, even if I only had a spare 5 minutes and couldn’t commit to an hours reading at night like I used to, I was able to at least read a chapter or two. I especially liked the flashback chapters interspersed with the present day ones. The subtitle of the book ‘The darker the secrets, the closer they lie’ prepared me for a couple of twists that really seemed to pick up towards the end. I would reccommend it to mums looking for something “light” (in ability to read, as opposed to content- as it is a little dark in places). And, I found it easy to put down and pick up as and when I had time to read, being 8 months pregnant and having a 13 month old. A pleasant little surprise and a well needed distraction. I’d pass it on to another mum! *I received this book for free in exchange for my honest and unbiased feedback. My favourite bibs! 14th July, 2015. Bit of background: one of Penelope’s ‘super rare’ conditions is called Beckwith Weidemann. This was picked up on because of Penelope’s persistently low blood sugars. Although there are a lot of different symptoms, Penelope only had hypoglycaemia and a slightly protruding tongue that prompted genetic testing and confirmed our suspicions. I have A LOT to write about this, and since this post is about bibs I’ll keep it brief here, and write another one exclusively for BWS. It is an overgrowth condition that affects different parts of the body. Penelope’s pancreas was slightly enlarged and thus produced too much insulin causing ‘Hyperinsulism’ and low blood sugar. Her tongue has also been slightly affected. But, luckily after consulting with a specialist at Great Ormond Street, it is looking as though she may be one of the lucky ones that do not need a tongue reduction. However, she is a distinguished dribbler when teething. 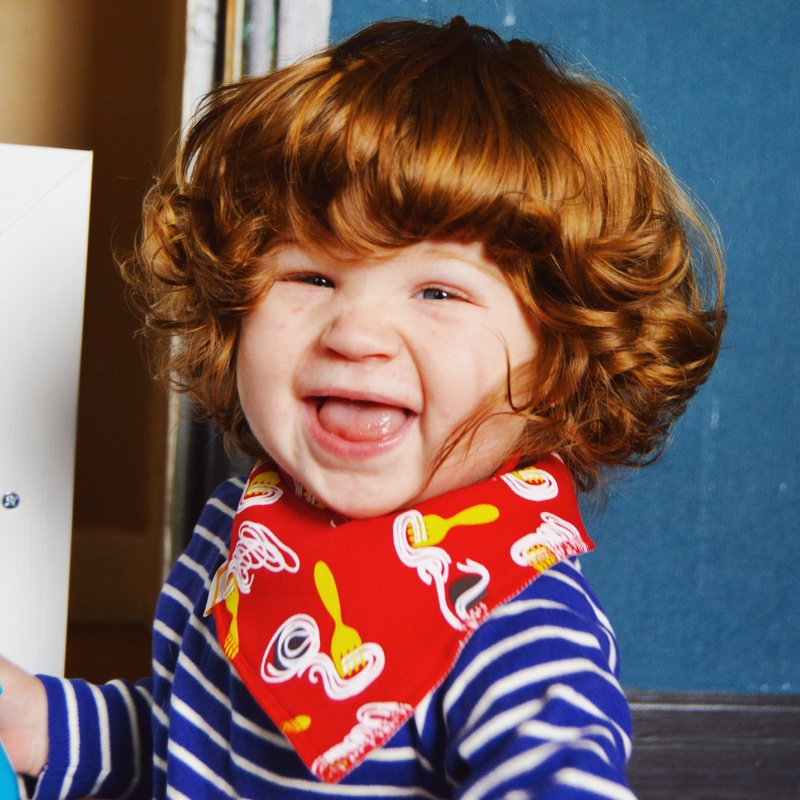 I have tried tonnes of different brands of bibs. They all pretty much do the same job. Put one on, couple of hours later (if that) it needs changing. No big deal, I suppose. Then, I was a lucky winner of a ‘freebie Friday’ competition I happened upon and won a small bundle of 5 Funky Giraffe bibs. It was a lovely little surprise, but what was really great was I messaged my details and got the bibs the very next working day! The designs were super cute, which is always a bonus. But, and most astonishingly, the bib lasted all day. Which made for a very happy mummy. I was feeling the love and shared one of my bibs with a fellow BWS mum, who was also very pleased. Mothercare Expectant Parent Event 7th July, 2015. I attended my first Mothercare Expectant Parent event last week, although I’m pregnant with number two! And, it was great! It was the hottest day of the year, so it was nice to walk in to a spacey air conditioned room. (Pregnant women + humidity = do not mix well!) We were greeted with a goody bag, bottle of water and chocolate bar. So I was happy before the event even started. Everyone was split into three groups- feeding, nursery and car seats. And, once you’d met with the expert from that area and heard a little about what they had to say (with plenty of opportunity for questions), you then rotated and listened to the next. For me personally, as I already have a one year old, the nursery and car seat chats weren’t quite as useful as they could’ve been the first time round. However, I do need to invest in a new Moses basket mattress so I was able to price up a couple while we were there. And, I’m seriously tempted with isofix for the car seat this time round for ease as we’ll also be buckling in a one year old at the same time, so anything that will save time is very appealing. However, as I didn’t get the opportunity to breast feed with number one when she was in NICU I found the feeding part of the event extremely handy and it was worth the trip for this alone, for me. There were midwifes there too answering questions and a stand showing how some slings/baby carriers work. My husband and one year old had a roam around the shop, she was content choosing a toy (for being good of course)! Maybe a couple more stands would’ve really made the event. For instance, I know I would’ve benefitted from someone explaining baby suit sizes to me with my first. I took a lot of 0-3 months sleep suits in my hospital bag, needless to say they drowned her and the husband had to make a quick trip to the nearest supermarket for some little newborn ones! Or, maybe a ‘what to pack in the hospital bag’ stand. 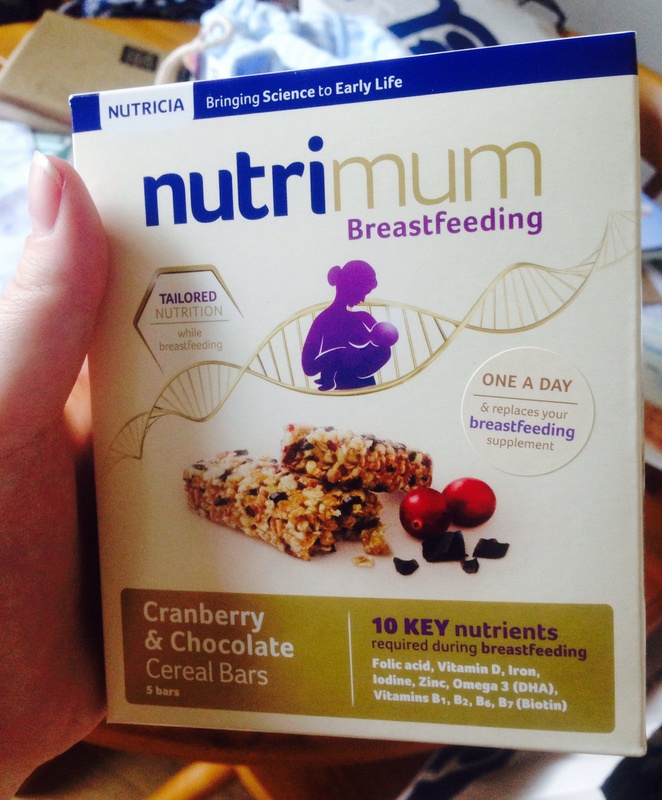 In general though it was great and the goody bag was a nice touch, a couple of sample sized products to try out and some Nutrimum cereal bars that will definitely be making their way into my hospital bag! They look delicious and contain the key nutrients you’ll need during breast feeding. And, it’s completely free! I would encourage new expectant parents to go for sure, particularly if they had something “big” left to buy such as a cot or a pram. The 10% voucher in the goody bag alone is worth it, but the advice is an added bonus.